Not having done anything physical for more than 2 weeks due to a bad flu I was looking for something tame to do on my visit to Vancouver. 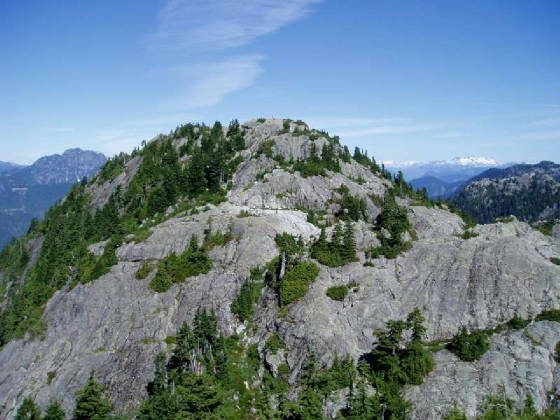 I had originally planned on scrambling Crown Mountain (Gunn -moderate) but was unwilling to climb the approximate 1300m to gain the summit from the parking lot. Nor was I willing to pay $30!!! 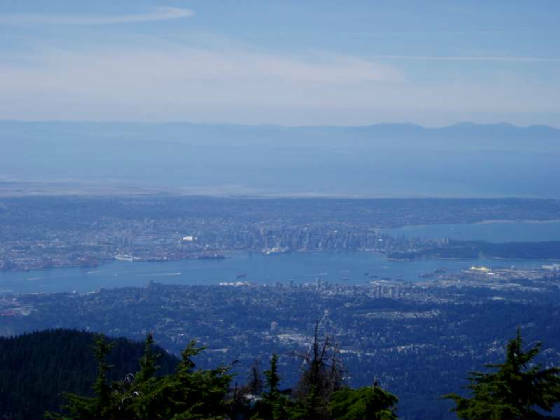 for a gondola ticket or climb the staircase that is the Grouse Grind to gain the top trails to Crown’s summit. 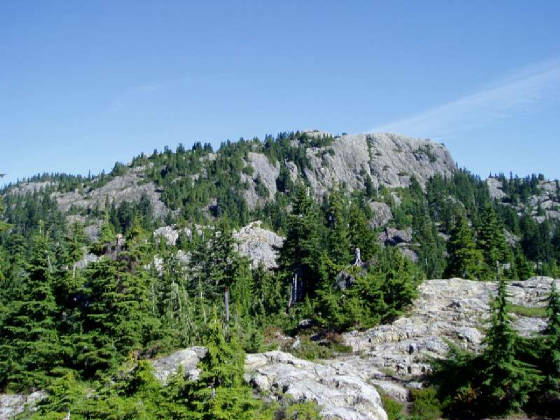 So instead I sifted through my memory and remembered a seldom used scramble approach up Mount Seymour from the ski hill parking lot. 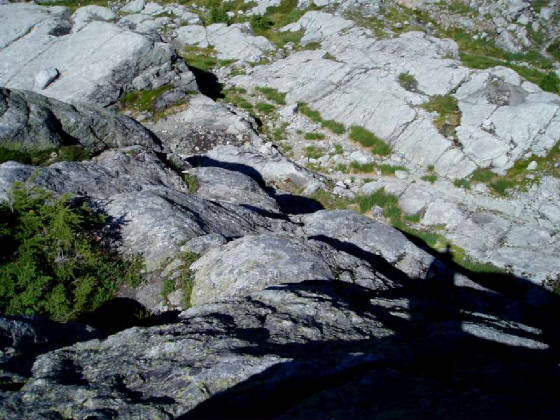 This approach is briefly alluded to by Fairley in his treatise “Hiking and Climbing in Southwestern British Columbia”. 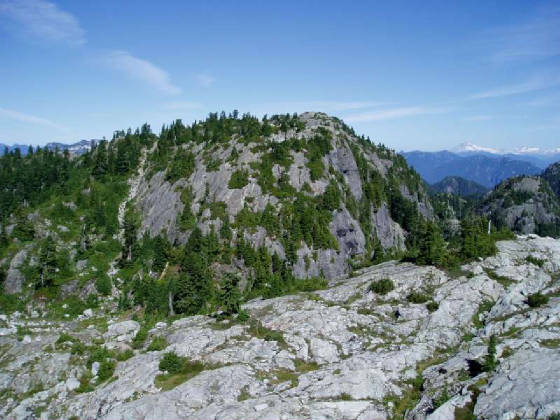 Basically Mount Seymour consists of three peaks: the 1st Pump, the 2nd Pump and Mount Seymour. 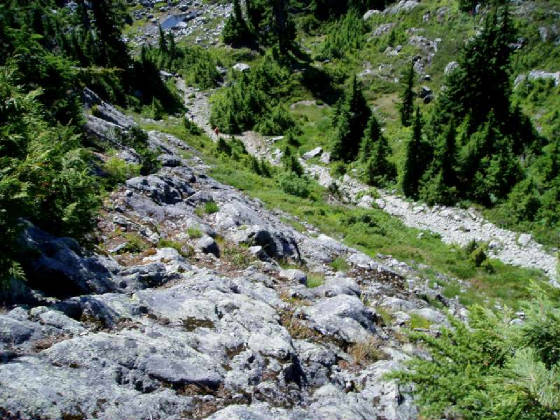 The hiking trail on its own, which if in Alberta would likely be labelled a scramble similar to Heart Mountain winds its way around these peaks. 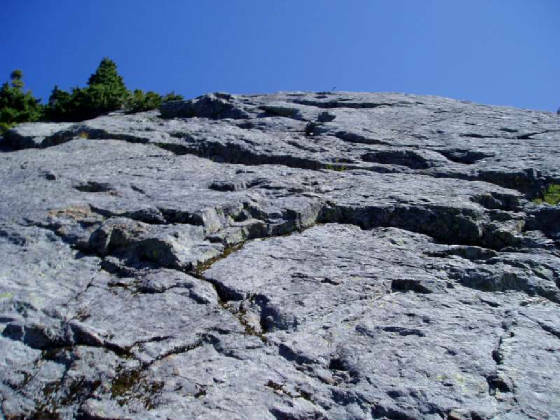 The scramble route, now days showing some wear, climbs directly up each peak. To access this route leave the main trail after the pond on the backside of Brockton Point and aim for the cliffs of the 1st Pump. On the day of my hike there were dozens of folks on the trail but I was the only one on the scramble route causing some people to stare up at me with quizzical looks. 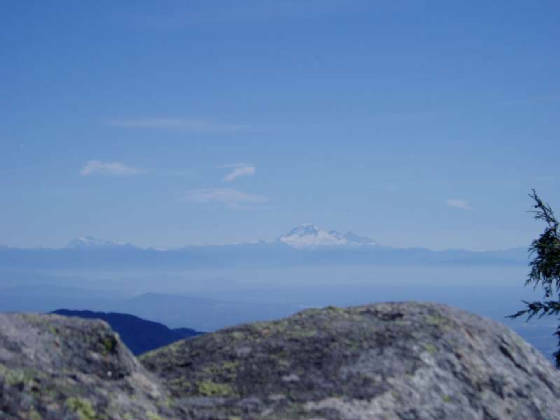 After climbing up some magically firm rock I stood near the summit and looked at Vancouver laid out before me, the ocean in the background, Mount Baker in the distance and Garabaldi’s ice covered peaks behind me. I caught a faint whiff of cedar and it hit me like a blow to the solar plexus, I was home where I belonged. 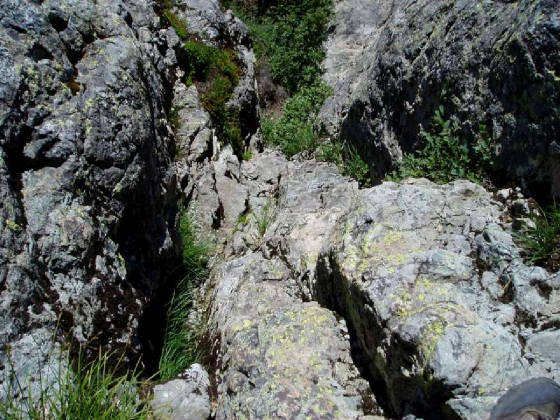 The 1st Pump, the scramble route goes right up the sheer looking rock face right of the thin partially treed descent gulley [right of center]. The face appears steeper than it actually is but probably made onlookers wonder what the heck I was doing when I was climbing it. 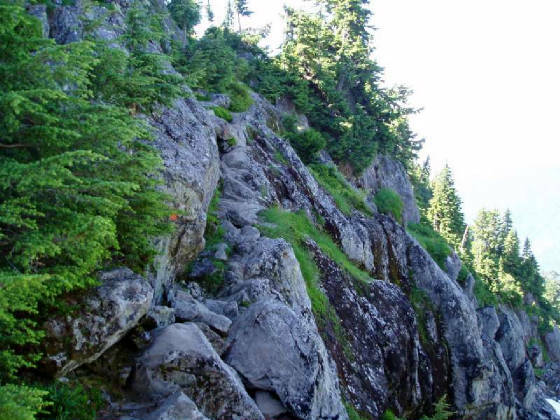 The trail goes right of these cliffs. Looking down the rock face up-climb from halfway up the 1st Pump. The 2nd Pump from the top of the 1st Pump, note the trail on the left. Looking for a way down from the 1st Pump, note the trail below. Looking back at the backside of the 1st Pump. Steep but wonderful rock on the route to the 2nd Pump. Looking down at the trail from the 2nd Pump. Looking at the final summit of Seymour from the 2nd Pump. 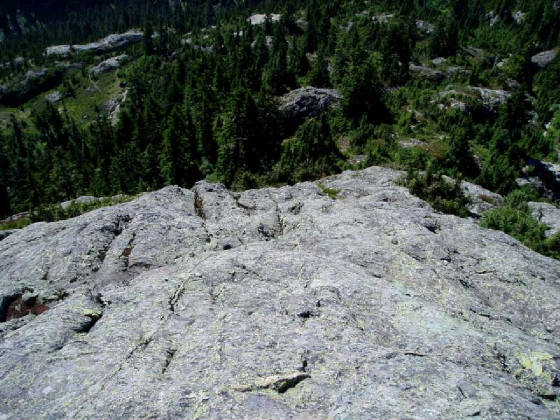 Even the hiking trail involves some light scrambling to get up this peak. 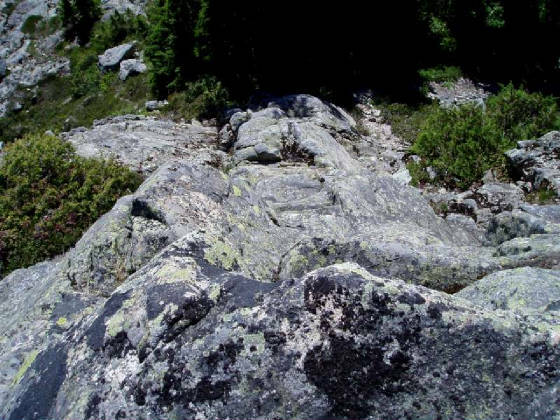 The actual hiking trail has some mild exposure on the col between the 2nd Pump and Seymour but the rock is 100% solid. Note the orange trail marker under the tree branch. 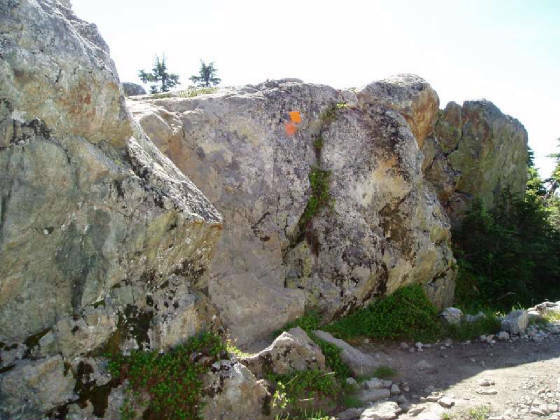 The Heart Mountain like "crux" on the hiking trail, LOL. 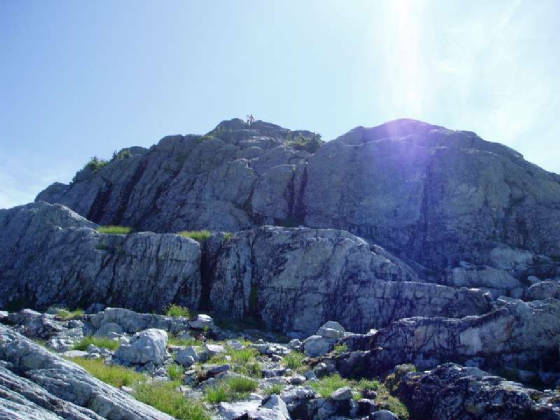 The final scramble to the summit. For some reason I found this kind of exposed and it had some low 5th class moves. 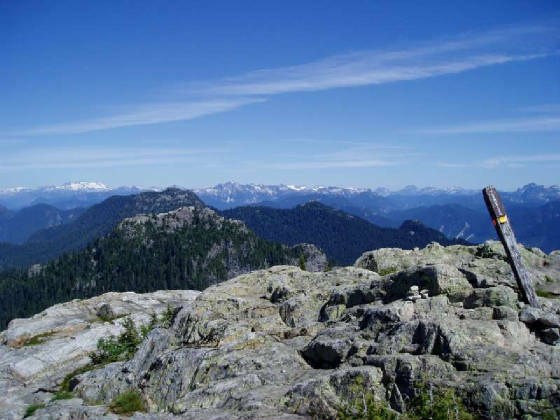 At the summit of Seymour looking North. Mount Baker in the distance just across the US border. Looking down the descent gulley midway on the cliff from the 1st Pump. The outstanding rock rendered it no more than moderate 4th class.